Packing a punch well beyond its weight and size, Beoplay A1 has ambient True 360 sound – so the sound dispersion is great wherever you put it. And with a peak power of 2x140 W you won’t have to huddle round it to enjoy your music. Beoplay A1 is small enough to sit in the palm of your hand, it weighs only 600g, and because of its shape (with no protruding buttons or legs) it is easy to store in your bag or slip into a pocket. With up to 24 hours* of battery life, Beoplay A1 will still be playing long after most competitors have gone silent. 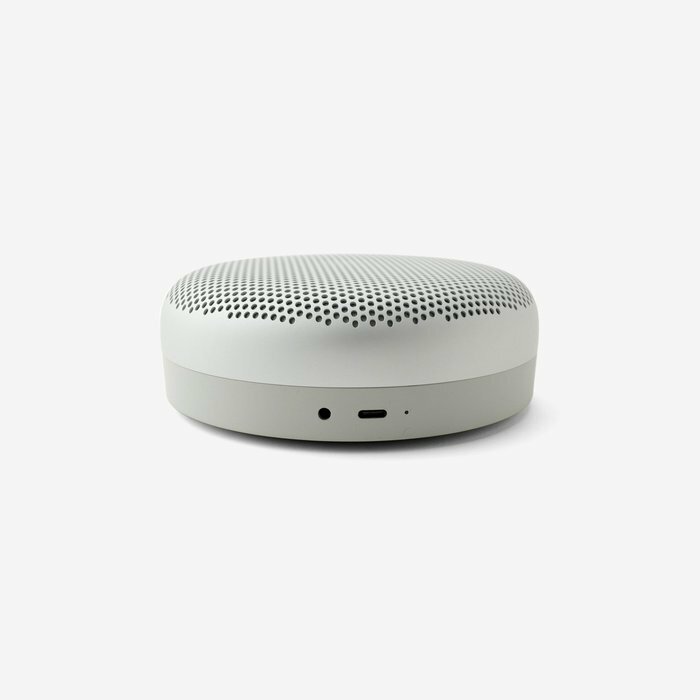 Beoplay A1 has a built-in microphone for making calls, and because of the rimmed design around the base of the unit, the microphone gives uniform speech sensitivity 360º around the speaker.